I agree and acknowledge that women are our community, and their voices, struggles, authority, and experiences have been ignored for centuries. I not only condemn this but am willing to commit everything in my power to correcting this gender imbalance so that it does not continue. I pledge not to participate in, attend, or otherwise support any panels, conferences, meetings, events, etc. where a fair representation of women does not exist; ideally, the number of women present in such meetings should be at least that of the male contributors. Similarly, I will decline to contribute to any anthologies and edited volumes with an unfair or no representation of female contributors. 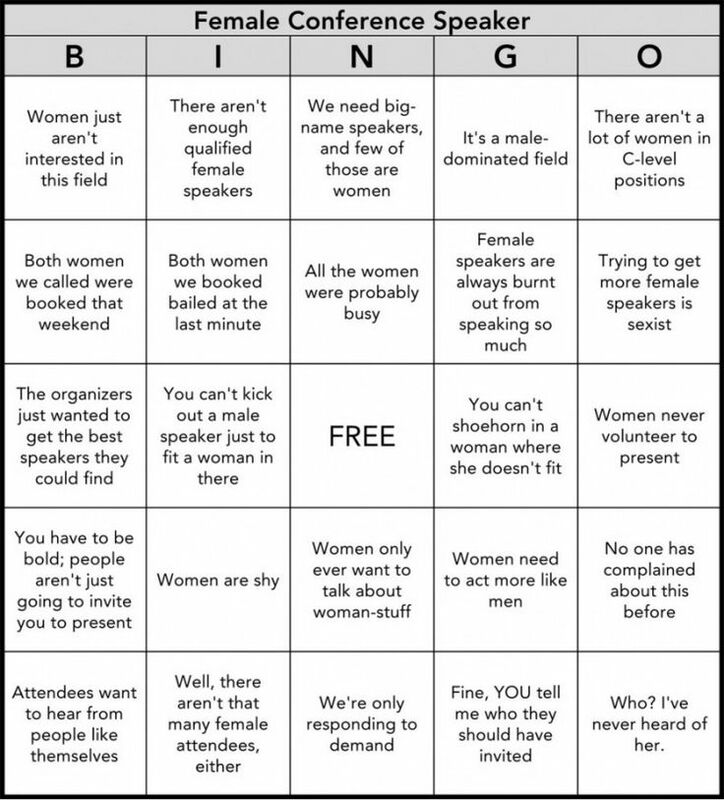 I will recommend possible female panelists so that the organizers can contact them instead. I also pledge to attentively address the concerns of female authors, panelists, speakers, leaders, and scholars who are participating in a male-dominated environment that they are unable to boycott due to too few opportunities. Finally, not only will I withhold my support of these meetings and books, but I will also openly condemn them so that the men in charge understand that their discrimination against women is unequivocally unacceptable and has to end yesterday. We are a grassroots initiative, and the pledge above is a collaborative movement of several groups and women who are critical of the Islamically dubious trend of all-male, or male-dominated, panels/events. These women include, among others, me (Shehnaz), Nahida Nisa, Zahra Khan, Sabina Khan-Ibarra, Laury Silvers, Saadia Sultana, and others; each of us has helped in some way or another, from pushing forward the idea of a pledge against all-male things to writing the pledge and discussing how/where to share and host it. (If the reality of all-male things is news to anyone, we invite you to please see this page that documents all-male Muslim things.) The above pledge invites and urges Muslim men to not only boycott all-male panels, conferences, anthologies/edited volumes so that organizers can finally do something about it but to actually do something further by demanding change – and to show organizers this list of over 340 Muslim women speakers if they claim “but there aren’t enough women scholars/speakers out there!” Moreover, here’s the link to add more women to the database. An external link to the pledge is also available here. I aspire to support issues relating to women in our community, however this pledge discourages Muslims from attending beneficial programs simply because of the genders of the panelists. I strongly advise you all to amend the pledge by removing the call to not “participate in, attend, or otherwise support any panels”, and instead have everyone share the information about female resources widely, and encourage more representation however reasonable way. Thank you for your feedback, Abdullah. We disagree with the approach you’re suggesting and prefer what we’ve planned above because we believe it’ll command more attention towards the problem. All-male programs are beneficial to no one. I have issued the fatwa. Indeed the world of religious knowledge has been dominated by men who take for granted the issues of women. Infact the female genital mutilation debates makes me uncomfortable about all male panels. Anything that affects female sexuality is shrouded in interpretations that creates confusions.Let women have a go and allow them to self actualise in the field of knowlegde they equally have. All male panels have always been the norm it is time for women to engage. We have them in abundance and they are erudite scholars. It’s great to see this and I hope more Muslim men sign it. By signing this, I do not associate with the likes of Tarek Fatah (an Islamophobe who also makes misogynistic attacks against Muslim women who disagree with him and call him out on his harmful nonsense), or some of the other misogynist Muslim men that I see in the signature section. Fatah frequently shames Muslim women, especially those who defend the hijab and niqab. He ridiculed Muslim women who spoke out against Femen, calling them “stupid” and “social media jihadis.” In fact, he calls anyone who disagrees with him an “Islamist.” More men need to learn that solidarity isn’t just about signing a petition and making yourself look “good” and “progressive” — solidarity also means we show it in our interactions with Muslim women. Equality of representation should be followed in these complex discourses….